as I did something very close. It shows "conceptually" what an advanced loader can work up to. Note how he has those bullets seated way out adding case capacity and lowering pressures. 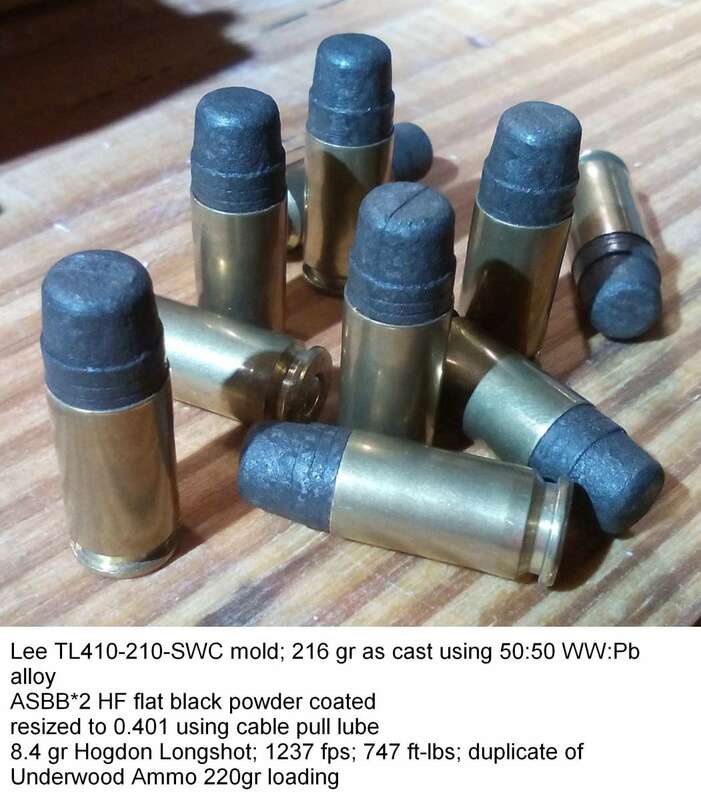 Basically seating them out closer to 10mm Magnum length OAL. Sort of an ugly, hot loaded, .40 Special. This is a learned trick one can use to one's advantage. You have to make sure the throats will handle the bullets fitting in them. Huey and I do weird stuff like this all the time. We work up to it and get unusual performance very safely. Nobody is going to get them mixed and use them in something else, unintended for the special ammo.